This is a guest post written by @Gocchisama, and has been reprinted here with permission. The writer is a fellow 48 group fan, just like you, and not akbzine.com staff — so if you have any comments, please be kind and thoughtful. Thank you! It has been already one year since i’ve been to my first AKB handshake experience, and it felt like yesterday. 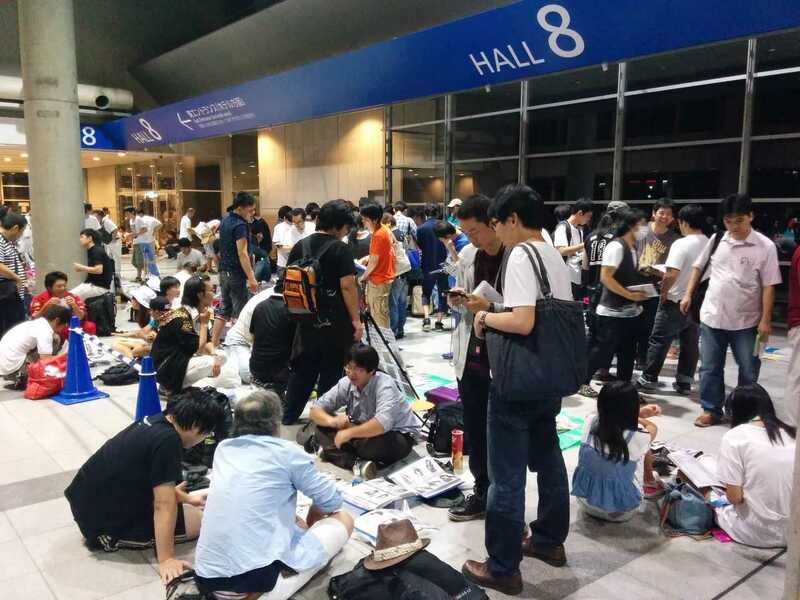 This time the event took place in Makuhari messe, better known as the venue of the Tokyo Game Show. Since i live in Chiba, it was only 2 stations away from where i lived. Compared to Yokohama (1h30 transportation). It was much more convenient. Weather in japan was not too hot, but quite humid. 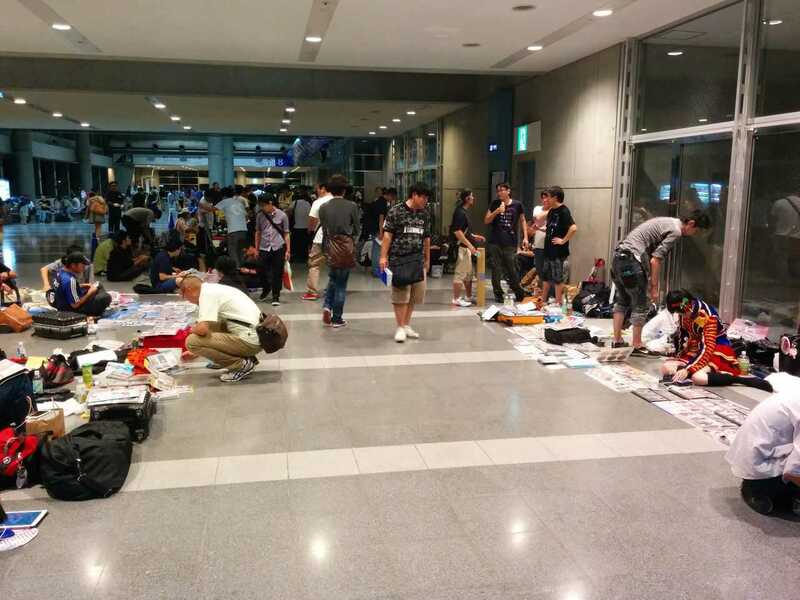 I advise people to get some spare t-shirts, a bottle (to avoid big queue at the conbini), deodorant/chewing gum, and above all, SUPER COMFORTABLE shoes (compensate sneakers for example). After 6 hours waiting in line, you will crave for leg painkillers. Also avoid jeans that stick to you, it is hell when you sweat. 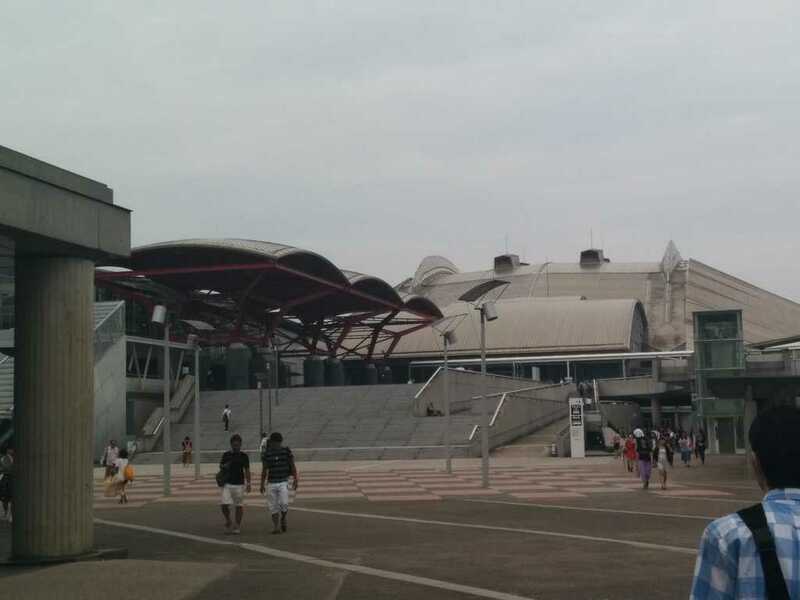 despite his plain look, Makuhari Messe can welcome the whole 48 fandom. Picture speak for itself. Many changes occurred, as Suzukake nanchara handshake happened before the tragic accident with Annin and Ricchan. When you enter the handshake area, you will have to pass through a serious body check up where bunch of security staff+cops search your bags and use metal seeker. When you got a bottle, you need to drink a little to see if it is not poisoned or not. Well, better prevent rather than cure. There’s a lot of staff so the wait isn’t too long. Each time you get outside to eat/get some fresh air, you need to do the check-up again. There was a long line for goods, but i didn’t bother to look around because i’m broke. 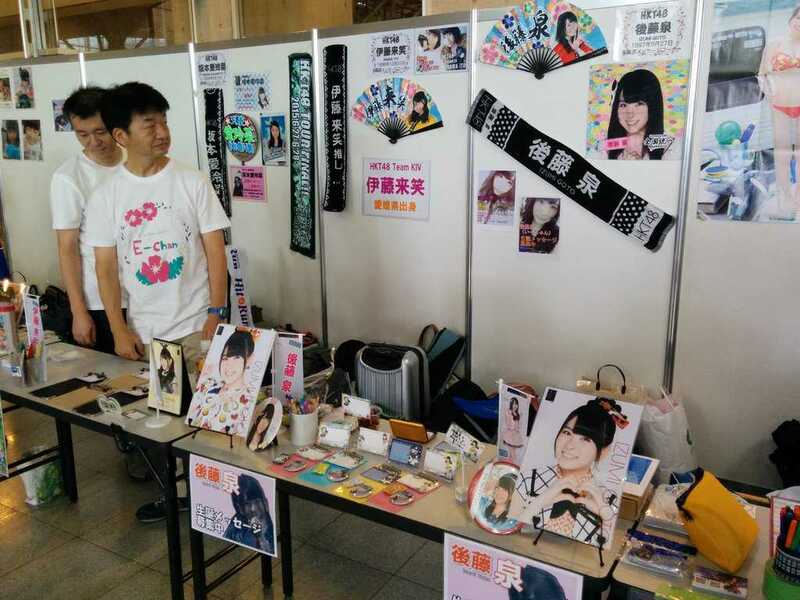 There’s some remaining stuff from AKB grand sports festival, and usual stuff. Cool clothing like birthday T-shirts or exclusive towel are sold on respective sister group website and are all sold out. Fans knows where is the real deal. Staff dared to sell overpriced shaved ice branded with your favourite oshimen, the cup was around 700 yen next to the sitting area. And it was selling a lot. Maybe they were good, i don’t know. No picture sample as i was lacking time to wait for a 700 yen ice cream. Talking about hanging out. Since i had a free slot 3 to eat, i was looking forward to see the birthday committee line. Fans were celebrating their oshimen birthday such as Iwatate Saho, Kodama Haruka and Watanabe Miyuki. 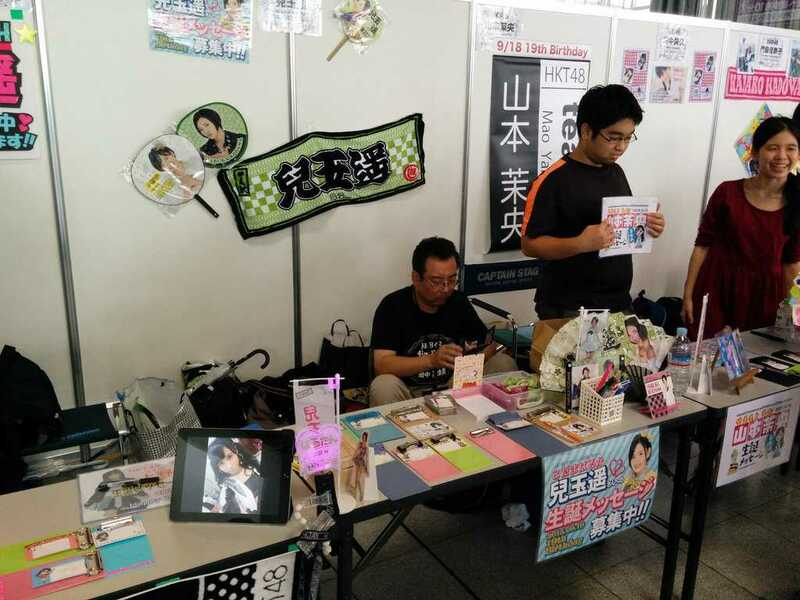 Also, team 8 members had very active stalls, with many people interested in writing messages. First of all, i wanted to write a message for every members i liked who were going to celebrate their birthday soon. Unfortunately, it took much longer than planned. I didn’t even had time for chat with fans that slot 4 had already started. That is unfortunate, as i think they looked like very open-minded people and caring to listen to what you say; if you can speak Japanese, that is. While it was forbidden to take picture in the handshake area ( police+ staff everywhere, so you understand i couldn’t take picture on the inside), fans committee were kind enough to let me take some pictures. I think they were proud to show how well decorated their stalls were, and it was indeed impressive! Very colorful. I had a total of 12 handshakes, starting from slot 2 to slot 6 (one slot is worth 1h30). I had made all necessary preparations to balance my number of tickets/slots as i applied for round 1. Since i only buy one ticket, it’s safe to say i could get everything i wanted in one shot. People who like to buy 9-10 tickets can’t do so in round 1, so they have to wait round 2. I tried to put 2 popular+ 1 not popular per slots and play safe. 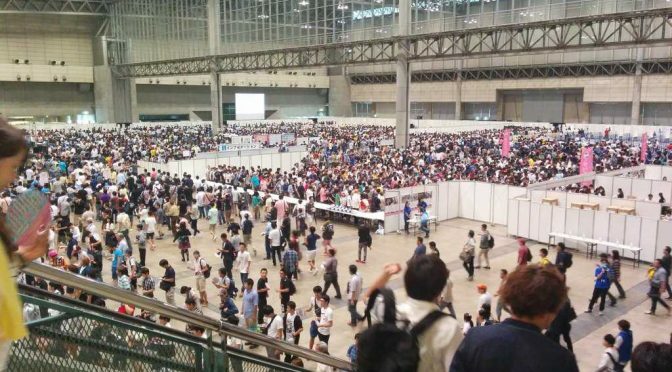 Another thing that changed, is that they added a new Autograph event, where you are eligible of one try per handshake ticket to get an autograph from your oshimen. It’s jackpot if you get it from 1 ticket, as a member usually take 20-30 seconds to write you something, and you can chat with her in the meantime. They are very caring to the member, and don’t push her around when writing. But they show no mercy, kicking you out in standard handshakes. So enjoy it if you got one! Nonetheless to say, i lost everything, and sometimes people who had 10 tickets failed ten times in a row. The more popular the member is, the fewer chances you get. Seems logical. As usual, there’s kami-level queues like Mayu or Jurina. Five lanes in Zigzag before reaching the ticket checking counter, then 3 lanes in zigzag. it’s 30+ min, not counting people who are buying 10+ tickets, sometimes 50 tickets. Adding the signing events, it really has altered my perception of waiting in line. I thought i was safe with only 3 people per slot, but i realized it was going to be a stressful day, praying to be in time to get on another member lane i wanted to meet. Also, this time i went for mid popular members so i knew what was coming. Meru wore a short sleeves brown pull, showing off her pale white skin (beauty point in japan). Long hair with fringe match her perfectly. I wanted to start things off relaxed, as i already saw meru once last year. Her lane was Okay, let’s say 1 lanes+3 lanes. Pretty decent for a slot 2. I waited a bit to read the memo a Japanese friend helped me write so i can say something interesting. This year was kind of hard for Meru; all spotlight went to Sakura and Haruppi, momentum is for Nakomiku, she didn’t got a Kennin in team 4 and with non-existent outside work compared to others front row HKT members (Mio, madoka, natsumi), she had it though. To be honest, even her rank (last undergirl) was a letdown as i was expecting her fanbase to have a surge of pride and push her nicely, but it was rather moderate. All in all, it was time to cheer her up. I wanted to talk about her relationship with Miona, as i like them both. And indirectly praised her that it was her that got me into Nogizaka Hori Miona. Meru : Thank you for coming! 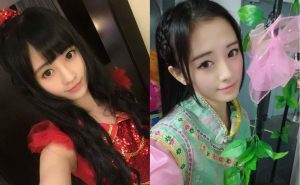 Meru : Miona? Oh yes, yes i know her! Me : I’m glad you and Miona are get along with each other. Meru : Oh, thank you! please come back again! Because of the beginner’s baffling/freezing, i couldn’t say “it is thanks to you that i like Miona now”, i really felt that i ruined the moment due to lack of focus. Staff disturbs you with their **** “mamonaku desu” and with one of your favourite member staring at you, if you get lost in speech, it’s over. The japanese was too hard to express and i felt frustrated. However, what i can say is that Meru is as beautiful as ever and i don’t see any chubbiness at all. (some discussion about that happened in her thread, but to me it is case closed now). After some thoughts, i don’t think i did that bad for ten seconds. Eyes on : Tomonaga Mio. My oshimen. Unexplicably as it is, i lost my application to her. Meru and Mio are always next to each other so i had some time to look at her during my waiting time to meru. Her fashion today was casual and nice, and her haircut was my favourite. A little girl passed for 4-5 tickets and Mio gave her all the attention in the world, bending over her to take her little hands and telling her how cute she is. In conclusion, don’t line up after a cute little girl. Along with her “Lee” T-shirt, she was wearing a black cap. Nothing extravagant, yet efficient. As a Tentoumou chu supporter, i was really excited to finally see Nagisa, my favourite in NMB. She has a nice idol background, already centering a b-side, a kennin in team 4, a sub-unit, and is a regular NMB senbatsu ( the hype is more on sutou ririka now though). What i know, is that she is loving magnet, having shuu and Ryoha clinging on her. She definitively has this big sister feeling giving others a sense of security. But when it comes to idol-fans relationship, how is it? I wanted to find out. Actually i didn’t have good topic to bring (i didn’t find the time to watch NMB new shows) so i came up with a standard, lame interaction. Nagisa : thanks for coming! Me : Hello, Nagisa! I’ve come from France! Me : Nagisa smile is the best in the world. Nagisa : Ah, thank you! Bye bye! TADA!!! No seriously, i might be the 10 000 000th person to say that, but i was out of option. Her lane wasn’t that long and i had to figure out something quick. To be honest, her reaction was very standard, and so was my line, so i don’t blame her at all. Actually i was happy to succeedly said what i wanted to say. Nagisa is probably settled as NMB front row, but when it comes to be a NMB representative in AKB single, that is another story. Anyway, congratulation for ranking this year’s Sousenkyo! 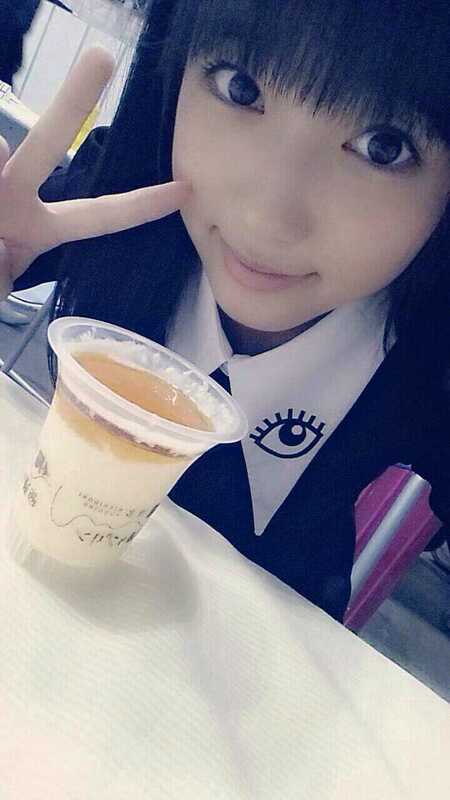 Eyes on : Shiroma miru. When i was lining up to Nagisa, i had a fair amount of time looking how her handshake worked. When someone won a sign, she automatically high-fived them and continiously talked to them. I think her interactions are very energetic and it makes me want to try her once. Being Iriyama Anna oshimen, she always had my curiosity. Really, Ryoha doesn’t want to help me upload a picture of her in handshake clothes. I’m probably a regular of Ryoha’s lane. She only had the 3 lanes after the check-up, but her fans are happy because she had uninterrupted lanes for today (last year, i was first in lane, no queue). I understand her handshake experience is not the best compared to others (miyamae Ami, Tani marika) but the girl is really lovely and i’m sure she care about people coming to see her even though she is kind of my pace. I wanted to be nostalgic, mentioning Rena, but considering my fail from Meru’s, i chose a much easier line. Me : Hello! I live in Tokyo, but i went to Toyota Stadium in Nagoya! Ryoha : Really? thank you very much! Ryoha : *thumbs up* thanks ! it was really fun! Bye Bye! Good experience, because i was able to pull difficult (for me) Japanese, and i got understood. Reaction was nice because going to Nagoya is expensive, and she was grateful that people would do all the trip for SKE. Actually, i did went to SKE concert, but only had the 29th, so i technically didn’t saw her performance of Utsukushii Inazuma, but friends told me it was really good so i used it for my ticket. If i had the time, i would have wanted to tell her my wish for her to be an “Ace that Rena can be proud of”, because i know Rena is a sempai Ryoha hold dear with Sae, and linking her with Rena might have been a heartfelt moment. But well, bad Japanese is bad Japanese. Cute was the theme for today. Heart-shaped hairpin, white shirt with short sleeves to make the coordinate fresh and light. Haruppi has always been good at fashion IMO. Haruppi : thanks for coming! Me : Hello! I’ve been watching Majisuka 5! Me : *forgot my line*, ugh… i’m super tense! Me : hum….Please don’t loose to Sakura! I was supposed to say ” I’m looking forward Katsuzetsu appearance in next episode”, but the fear to fail took the best of me, and ended up ruining the moment. i saved the handshake talking about Sakura, but it was frustrating. Haruppi showed concern at my fail but gave me the brightest of smile telling me to “try again” (lol) next time. God is merciful for those who are try-harding like me it seems. Strange, because my first handshake went much more smoothly. S*** happens. Nako was wearing flawless wool black sweater that made her look like a role-model child, first of her class. The Nako that i have in mind is the one in variety show. Talks a lot, laughs a lot, makes jokes and gag, cheerful and always smiling. Sometimes she can be a crybaby, but who isn’t at her age? I think she’s cute and adorable, and has everything in her idol DNA to succeed with her character as strength. To be honest i was perplexed at her not ranking with Miku in sousenkyo, and i am even more, looking at her lane. 2+3 lines, had to wait 20 min+. If people keeps coming back, it means she’s a nice girl, no? Me : Hello Nako, i’ve come from France! Me : Yappari, you have grown up a lot, haven’t you? You look like an adult! Nako : Nako? * pointing herself* Yatta! Thank you! Eyes on : Sashihara Rino. 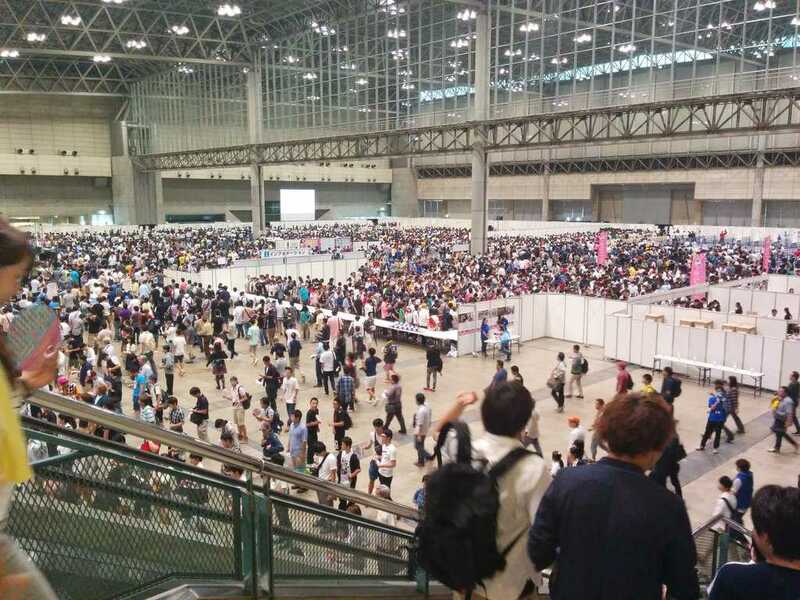 Bad and cons of Nako’s lane, it took me 20 mins to finish, but on the other hand i could see Sasshi close around 10 min( since lines are in zigzag, sometimes i’m on the opposite of a member’s booths). She is not very energetic ( she sits all the time), but she gives the vibe of someone who listen to you carefully and respond to you calmly. When people get out of the booth, there’s no grin but a smile of satisfaction (i talked with someone cool). 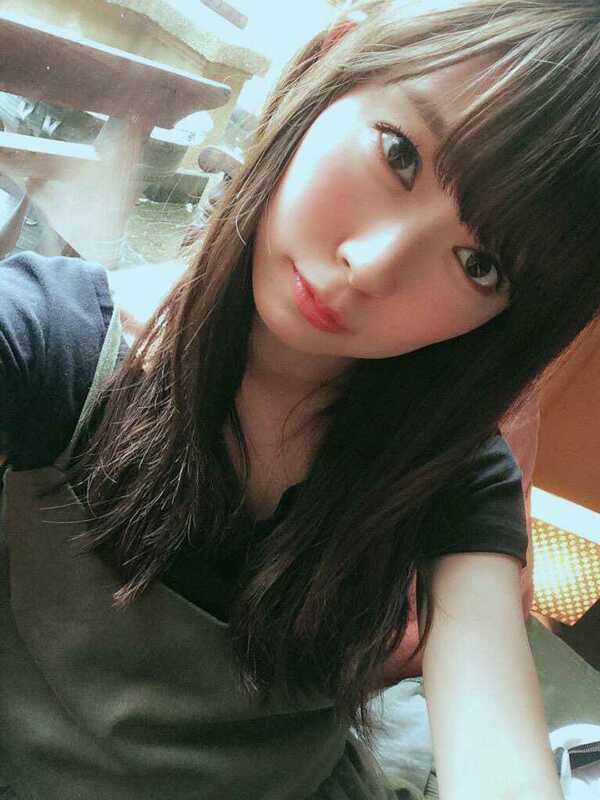 Sasshi is really pretty. I think i would be intimidated if i go to her handshake. Don’t expect her to start the conversation for you, by the way. You talk, she listens. Absolutely stunning crimson red dress, with pearl earrings and perfect brushing. It’s like encountering a doubly shiny pokemon. Sparkling is an euphemism. I don’t have a favourite in particular in AKB. But after reading praise on Naachan and as a tentoumouchu member, she grew up on me a lot. 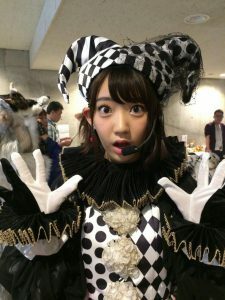 Her kind, majime character is actually unique in AKB group and she is an excellent performer. Last time i already wanted to try seeing her but resales didn’t gave me any chance. Now’s the time for one ticket. 3 lanes + 3 lanes, 1 lane more than Kojimako, 3 lanes bigger than Mikichan. She was in my “slot of the death”(4 popular members) and i was hoping to buy some time pre-laning. Unfortunately, even if you pre-lane, you start moving at the beginning of your slot. Me : Hello! I came from France! The only one who answered in english. Sasuga Naachan! Also, when i tried to say my line, she stopped talking and listened carefully at what i said, like she understood i was struggling speaking decent Japanese. I did notice this attention, and it was really sweet! She really has an aura of a princess. Her bright red dress allowed me to take a good look at her, very memorable. Great handshake experience, will come again. She lived up her praise 100%! As you may know, The concept of one fan/one oshimen is very strong in AKB group, but management often promote pairing, to make things spicier and emphasis friendship. Or maybe it is the girls themselves? 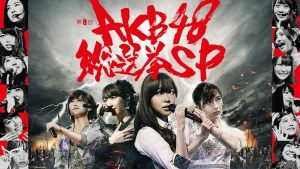 In AKB history, we had Atsumina, Kojima haruna/Shinoda mariko, Twin towers, and on a smaller scale, MeruMio, or Mion/Nannya. Nakomiku is the same. they were heavily promoted as cute loli from third gen and HKT fanbase quickly started being fond of the pair. While we’re never sure it’s genuine or just “business” relationship, My opinion of Nakomiku is very high as i think they both have good chemistry. Their opposite character complete each other. I know Nako better than Miku, but Miku’s beauty can’t be denied and i’m sure she will lead HKT group of beauty in the near future. Miku : Thank you for coming! Me : Hello Miku, i’ve come from France. Miku : Yes! i got 4 cm taller! Bye bye! I can’t help but feel great similarities between the two now, as both are giving me the same mature vibe. I stopped myself at their beginning, (cute and small) but their elegant, smooth response made me realize they are completely different person now. Still adorable and cute, of course, but now you can add pretty and elegant. And i love it. Can’t wait to see the pair grow even more. Isn’t it what AKB is all about? To see your idols grow? HKT future looks bright. Her journey is close to perfect. She got the push, she got the fanbase. A momemtum that doesn’t look to falter. She reached such level it’s hard for old HKT fans to see her as HKT48 Miyawaki Sakura, and not AKB group Ace Miyawaki Sakura. It’s like, hearing about a cousin you were very close during your youth, accomplishing great things like graduating from top college or becoming a celebrity. So close yet so far. Compared to Haruppi, which i feel close through her modest past, truth is i’ve never felt the same with Sakura. At best, i wave at her aimlessly during concert, resigned that she will never lay eyes on me. With the same state of mind, i applied to one handshake without big hopes (she’s only second to Sayanee in handshakes). And i won. Sakura : Thank you for coming! Me : Eh, what? Wtf???? So, looks like Kami 7 members have a special ability. Handshake time crunching. I was ready for my speech, but those agressive MAMONAKU desu put me completely off-guard, and i end up failing big time. Yet, i got the best reaction? Sakura’s laugh. The same giggle when Annya is doing a lame joke or when she failed her kibouteki refrain choregraphy. The cutest laugh, like she was being relieved of one hour of serious talk. But man, i got barely 7 seconds, minus 3 seconds i didn’t know what to do due in panic mode. But Sakura made up for that, and her honest reaction made me find that natural feeling i was seeking in her. Despite being slot 5, she was still lively so i really thank her for that. Maybe the least known HKT members i’ve went to, and still fairly popular! 1 lane + 3 lanes. I decided to apply for her as i absolutely wanted to congratulate her for her Sousenkyo rank. Yes it is outdated, but since i come from abroad, it’s hard to come anytime we want. Anyway, Okapan has been away for many months from theater due to injuring her arm joint, but it didn’t stop her popularity at all. Her lively performance and pretty face quickly made her a fan favourite. Actually she is even more pretty in reality than her already pretty G+ pictures. She has adorable gimmicks that melts people on her lane (faking a death stare, acting tsundere, wink at you). It was slot 6 and after hours and hours standing up, i tilted a little bit and went off my prepared speech. Okapan : thank you for coming! Me : Hello Okapan! I’ve come from France! Me : Congratulation for your Sousenkyo Ranking! Bye Bye! She was the most surprised of all that i was a foreigner. It was funny to witness! She has a wide variety of reaction on her sleeves, and i can see her popularity in handshake grows even more. Actually i wanted to tell her i was confident in her entering next single senbatsu, but i was very tired and said what went through my mind. She is also very, very pretty; i got an halloween night picture of her and intend to keep it. 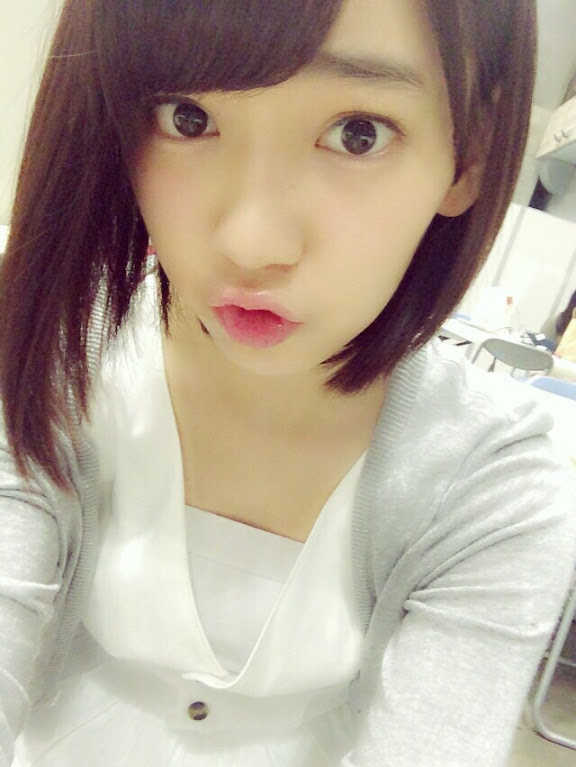 If there’s a beauty group in HKT, she’s definitively in. 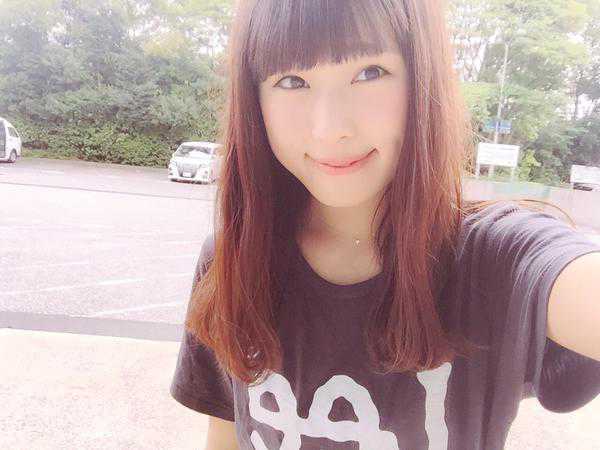 Another HKT member getting quite the momemtum. TOTTADO!! Anyone who watched the sousenkyo knows the girl with the mirror. Staged or genuine, it doesn’t even matter at this point. Her move was truly a genius moment of comedy, interacting with the host MC and accidentally involving even Yuihan. Actually the sousenkyo wasn’t the turning point but a consequence of Jiina rise in power. She was already starting to appear in HKT main shows (Odekake, Hyakkaten 3) and got chosen as senbatsu for last 2 single. To be honest, she was rather shy and plain at the beginning of HKT second generation debut, but she now has definitively bloomed into someone capable of juggling between beauty persona (narcissism) and pun-maker/variety enthusiast. What really changed, is her beauty. I do remember watching her first profile picture…. meh. But now, looking at her in real life….. woah! Jiina : Thank you for coming! Me : Jiina! Congratulation for your ranking in sousenkyo! I’m so happy! Jiina : Really? thank you! i’m happy too! Me : Yappari, you turned into a real beauty, right? Actually, the fan before me used 10 tickets so i had plenty of time to observe Jiina in close-up. I tried to not look like a creep, watching from time to time Okapan who was sitting on the right. But wow, Jiina is tall, thin, has long and slender hair and makes a standard dress look marvelous when she’s wearing it. I’m sold! The gap between her beauty and her capability to make peoples laugh is becoming more and more her strong point . I firmly believe we have yet to stop hearing about Jiina. Since Hyakkaten, claiming she wants to free herself from Narcissist persona, she kind of broke her limiter. Release your true potential, Jiina! 2 unused Watanabe Milky’s ticket. What happened????? As i said before, slot 5 was the slot of death. 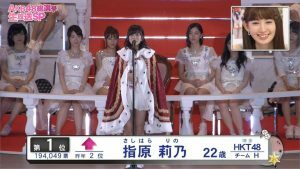 See by yourselves : Okada Nana, Tanaka Miku, Miyawaki Sakura, Watanabe Milky. Just lol. “Où avais je la tête?” (What went through my mind that time?) Clearly a misscalculation from me when doing lottery application. I was probably hoping Miku wasn’t that packed and to pre-queue someone would do the trick for this tight schedule. Not only a prequeue start on time (and not before) but also a slots close 30 min before the actual ending of the slots, to avoid flood on schedule. Okada nana and Miku took me 1h to complete, and i was running to Sakura’s lane before the fateful closure of her lane. Fortunately, i made it. But it was out of question i could attend Milky. I had to make a choice between Sakura and Milky, and the choice was obvious as i still had slot 6 to meet her. However…. I wanted to play safe, and pre-queue for Okada Kanna early in slot 6. That way, i quickly do the mid popular HKT members of slot 6 (Jiina and Okapan) to book milky’s line. That was the plan. I was just in front of the ticket desk… but the lane didn’t move. No one was going past the reception desk, and no one was leaving Okapan booth. Just what happened? I thought she went to see disabled fans, but it was quite opaque, and staff were silent. I arrived at 16h10 at the lane. And waited for one hour. ONE HOUR??? moreover, in Okapan lanes? It was crazy, something must have happened, and i was really loosing my temper, realizing i was going to loose Milky once again/ And this time, it wasn’t my fault. I really wanted to complain at the desk, but no japanese fans stumbled at all. Like waiting for one hour in okapan lane is normal? Hell no. I was soo frustrated. 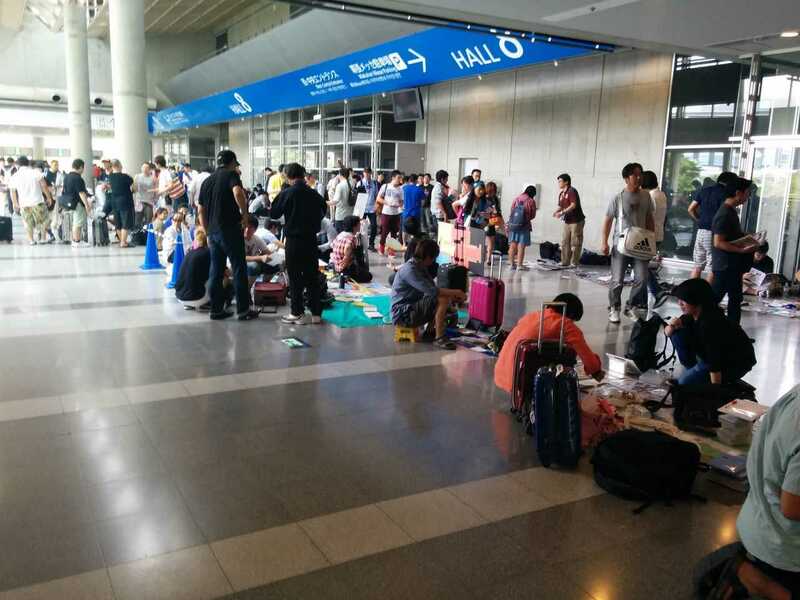 And NMB staff don’t give a damn if there was a problem in HKT side. So i couldn’t do a thing. Complain wouldn’t have changed anything. I was scared that my anger would negatively influence my handshake experience (fortunately it wasn’t the case), but since i got out of Okapan’s line at 17h20 (line close at 17h30) i was once again put in a tight spot. As an HKT fan, i had to choose Jiina. But my heart was broken. 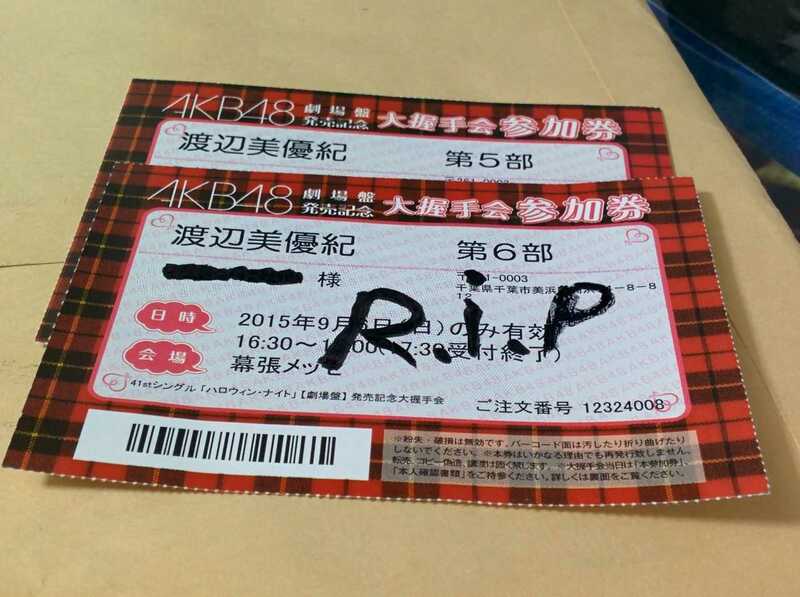 *use my HKT towel to wipe my tears* And then, my last ticket for the day was gone. My legs were numb, my throat dried, no battery on phone and sweating like a bear (i had a sweater to cover that in handshake). But beyond being physically down, i was very frustrated to have come all the way to miss a chance to see one girl ( i wanted to be fished, for god sake! And twice!) . When you’re loosing an application, you would say “c’est la vie” (that’s life) but this time, your brain keep telling you again and again that by queuing for Milky first, you would have been able to meet everyone. And it hurts. Aside from the milky tragedy, it was still a great experience to me, and i still feel blessed to see the girls i’m rooting for since 3 years. And i hope you will have the opportunity too. To make up for my sadness, i went to a Karaoke in Akihabara with friends and butchered AKB songs like Oogoe diamond, Heavy rotation, and Pareo wa emerald. It helps relieve the stress! Japan sure is a fun country. I will probably won’t be able to attend 2-shots event in February, but if you hesitate, go for it! I’m sorry, Milky. Please don’t graduate before i come back! Onegai! That was a really good post and awesome experience. Thank you for sharing it.